Recent excitement over ethanol in the United States has been unmatched by other alternative energy sources. To a certain extent, the mention of ethanol by President Bush in the past four State of the Union Addresses has politicized the debate and generated a high level of support for increased ethanol production in both Congress and the private sector. In December 2007, President Bush signed into law the Energy Independence and Security Act, which increased the renewable fuel standard that was mandated under the Energy Policy Act of 2005 to 36 billion gallons by 2022. “Growing fuel” has appealed to politicians, the American public, and powerful agricultural interests all for different reasons. Whether or not the large-scale ethanol production and distribution of ethanol is efficient is not easily understood. Corn-based ethanol is so heavily subsidized through federal tax credits and even state credits that its true cost is hard to determine (Gardner in J Agric Food Ind Organ 5:4, 2007). The high corrosiveness of ethanol and its tendency to absorb water damages existing fuel infrastructure and requires special equipment and supply chains for transportation (Rusco and Walls in Biofuels, petroleum refining and the shipping of motor fuels. Institute for Advanced Policy Research, Technical Paper TP-05008, 2008). Perhaps, most importantly, the agricultural availability for energy crops is intertwined closely with food crops; corn prices are influenced by the converging demands of ethanol, feed crops and human consumption. After examining the feasibility of recent goals for alternative fuels in the context of corn and cellulosic ethanol production, we are unable to validate that corn-based ethanol is worthy of continued pursuit as a viable, comprehensive alternative to gasoline. On the other hand, we find the argument for cellulosic production more compelling due to the ubiquitous availability of amounts and variety of feedstock, combined with a high potential for far reaching and decentralized refineries. Our work indicates that a transition to advanced, cellulosic feedstocks for ethanol is absolutely necessary for increased biofuel production and reduced petroleum use to occur. 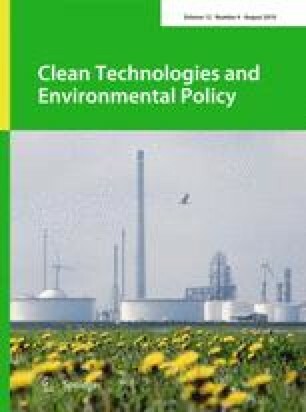 However, in light of the lack of commercial availability of key components needed for cellulosic ethanol production, we conclude that the feasibility of cellulosic ethanol as a mainstream fuel will require many changes in technology and federal funding. Thus, we conclude that, in the short term, ethanol cannot meet the energy security and environmental goals of a gasoline alternative. The authors would like to thank Dr. David Pimentel of Cornell University, Carmela Bailey of U.S. Department of Agriculture, Dr. Jack Santa-Barbara of McMaster University, Dr. Vincent Chiang of North Carolina State University, Dr. Michael Wang of Argonne National Labs and Rachel Miller of BP America for their time and enthusiasm. It is generally accepted that, when compared with corn, cellulosic feedstocks have better energy conversion ratios (Table 1), cause reduced CO2 emissions, and create less damaging land and water impacts.